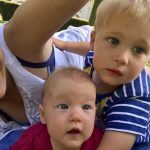 It’s been a while since I posted an update about Oliver’s and Emily’s multilingualism, and there’s a reason for it. 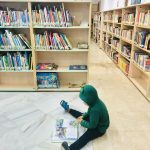 I was getting nervous about him speaking ONLY English: even though I have studied how children’s brain works when learning languages, I started wondering if I was doing something wrong when mixing four languages in his brain and not being strict about asking him to reply in one or the other language. Even though I pretended not to care, people’s words “You’re confusing him, I don’t think he’ll speak Italian” we’re messing with my head. Always trust your child’s potential. Follow the child. Don’t let people’s comments affect what you have studied about children’s development. Inform yourself and follow the child. 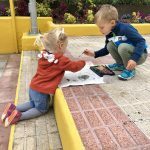 But let me back up, so if you’re new to my blog you can understand what I’m talking about: we’re raising our kids with Italian, Finnish, English at home and we live in Spain. 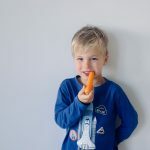 We’ve always been using the OPOL (One Person One Language) method, which means I speak only Italian with the kids, and Alex speaks only Finnish. 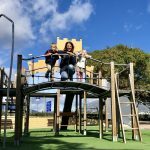 With time, though, we noticed we had to adapt the method to our needs, because our family language is English and, for example, it didn’t feel natural to always address the kids in Italian and Finnish at the dinner table when the conversation between my husband and me was entirely in English. Also, as Alex started having deeper conversations with Oliver, he found it more natural to speak English, as it has been his main language for over half of his life, and is more predominant in his brain than his native language. Oliver took slightly longer to start expressing himself and when he did, he probably found English to be easier, so until he was 3,5 years old he always talked and replied in English, also when we talked to him in Italian or Finnish, and even if I spent most of the time with him. Here’s an update on Oliver’s multilingualism in the past SIX months. This is definitely Oliver’s main language (even if it’s not ours) and he’s very fluent. He has a big range of vocabulary, conjugates verbs, and can express pretty much anything (we’re now working on emotion vocabulary). His accent is funny as he doens’t have just one accent of reference in his life, but it keeps evolving. We never correct him when he says things wrong (we actually adopt his vocabulary, it’s so much fun!). For example, he pronunces “pretending” a little bit like “parenting” which creates a lot of funny inside jokes between Alex and myself about parenting kids, or “pretending” to do it 😉 I’m really not worried about correcting him, as I know kids figure it out themselves: for a year Oliver called animals “amiols” (which was so cute and funny!) and then he eventually just corrected himself. For a long time, when I spoke to Oliver in Italian and he replied in English, it often came natural to me to repeat his sentence in Italian, although I was never very disciplined about it. When I was in the hospital for three weeks, and the kids spent a lot of time with my mum and dad, Oliver started singing in Italian and when I went back home, he surprised me with his “new” acquired skill. Then a new kid (half Italian, half Indian) started in his school, they became good friends and Oliver’s learnt so much Italian from him (thank you, K!). The more Oliver realizes he actually can express himself in Italian (because it’s all in his brain), the more he communicates, and in just four months he now has entire conversations with me in Italian: he mixes in some English words, but it’s now rare that he uses English with me when we’re alone. If Alex is there, he naturally switches to English, although I’m noticing he’s more and more switching between languages also when the four of us are together. 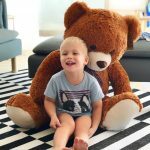 In the last year, Alex hasn’t been very disciplined about speaking Finnish with the kids, but as he spoke to Oliver only Finnish for the first two years of his life, Oliver understands absolutely everything. After his experience with italian, Oliver is now the one asking and reminding daddy to speak Finnish. So Alex is now speaking more and more Finnish to them, but he mixes a lot: he uses a lot of Finnish in his daily life, but he often switches to English for deeper conversations. Will he prove me maybe using my beloved OPOL method is not so important after all? Can’t wait to find out! The Venezuelan nanny we had in Canada told me Oliver speaks a lot of Spanish, but I never heard myself. Just recently, though, Oliver started playing with more Spanish kids in school, and when I heard him he could speak more than I thought. And that’s all from school, because our friends out of school are mainly English speaking. Seriously, guys, the language superpower the kid brain has is amazing, never ever think children will be confused if you expose them to many language at the time. 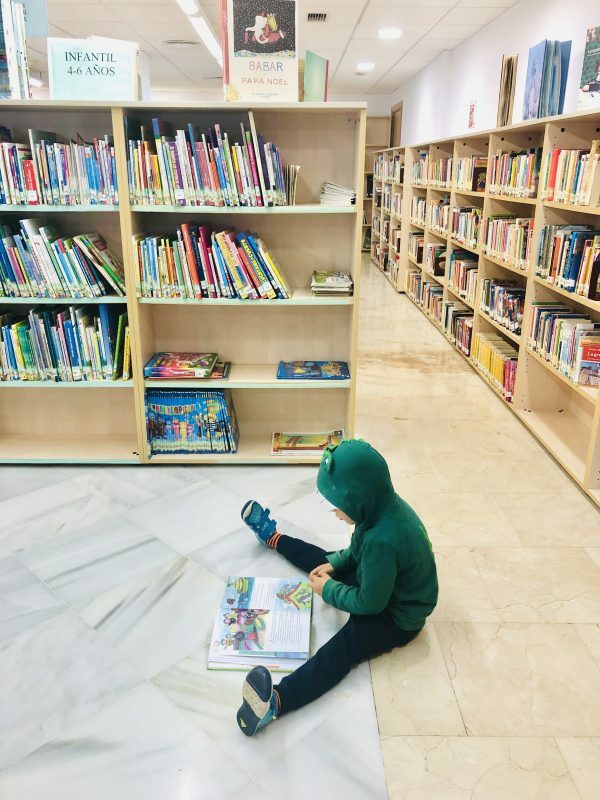 Between 0 and 6 years old, kids really are geniuses at learning languages! I rarely compare my kids to each other or to other kids, I don’t care if “they can already“ or “can’t yet” do something. But I always noticed that Oliver started expressing himself later than his friends, and I thought it was because he had four languages in the mix. Then Emily arrived and started formulating full sentences when she was a year old, thus proving that that’s not true. 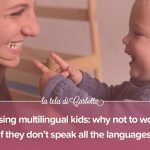 The amount of languages doesn’t matter at all in how slow or fast the linguist development is (material for a new blog post): kids have their own time, they develop their interest for languages sooner or later and as always, the best thing we can do is not to force them, but simply to accompany them. Emily, who had the same mix of languages since birth, started communicating with verbs when she was one year old, she’s always been interested in repeating everything we say (something that Oliver didn’t used to do), so she now speaks a lot and her ability to express herself in English and Italian always surprises us (the other day I was reading a Spanish book to her and she surprised me again by repeating everything). 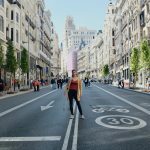 Multilingualism is a fascinating journey: I was always amazed by the way my little students learnt English, but seeing it in my kids and following their natural development, it’s ten times more fascinating, and motivates me even more to write about it. 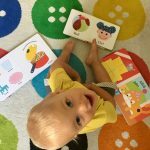 In the first three years of his/her life, a child is a genius in learning languages. 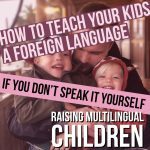 Our role as parents is to find opportunities for them to hear different languages. I'm not sure I mentioned before that we're raising Oliver trilingual (the country we live in will take care of the fourth language, Spanish). 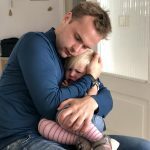 I don't yet have a magic formula for how to raise your children trilingual—maybe I will in a few more years of parenting and after two children—but I'd like to share with you the challenges that this decision has brought with it. So many of you have been asking me how Oliver’s doing with the four languages, so today I thought I would answer just that, and I’ll do it through his own words.